Give some one special a sweet Easter bunny candy bar in their Easter basket. This candy bar printable is free to newsletter subscribers to DIY Party Mom. Stop by and get your free Easter printable today. It's April and Easter is right around the corner. That means it's time for decorating Easter eggs, throwing Easter parties, and filling Easter baskets. That always seems to be the hardest part of Easter...filing the baskets. Isn't she so cute? I love how her cute nose just makes you want to wiggle it and smile. It just makes me happy. 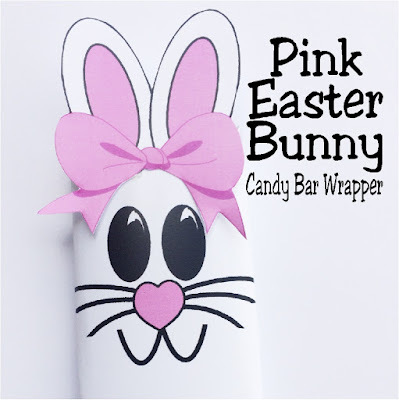 And I'm hoping if you add one of these cute little candy bar wrappers to your loved one's Easter basket, they will be smiling away on Easter morning too. 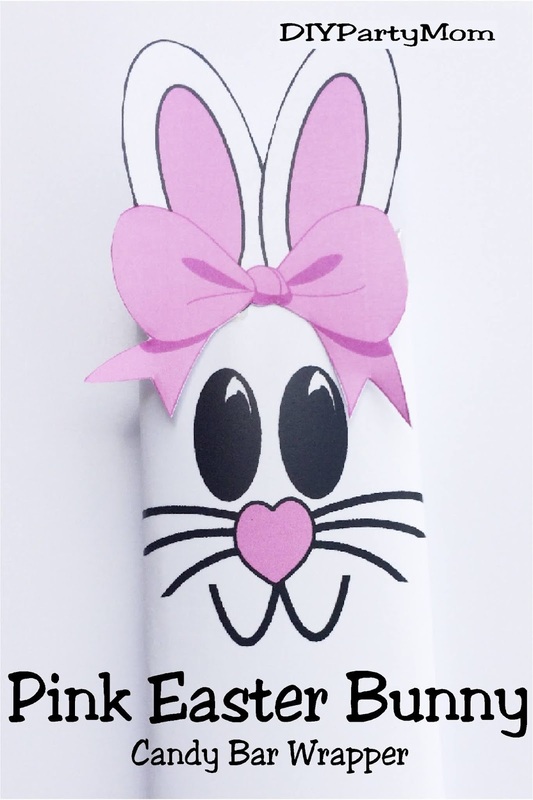 The candy bar wrappers come one to a page, so you can print out everything you need to make one of these cute Easter bunny candy bars quickly and easily. You can choose to make the Easter bunny a girl or a boy, simply by cutting out the right ears and bow for either one. If you want to make the bunny a girl, cut out the ears and bow and glue right over the eyes. If you want to make it a boy, glue the ears on top and the bow below the cute bunny face. You'll get both options. On the back of each bar is written "Happy Easter" in a matching colored lettering. 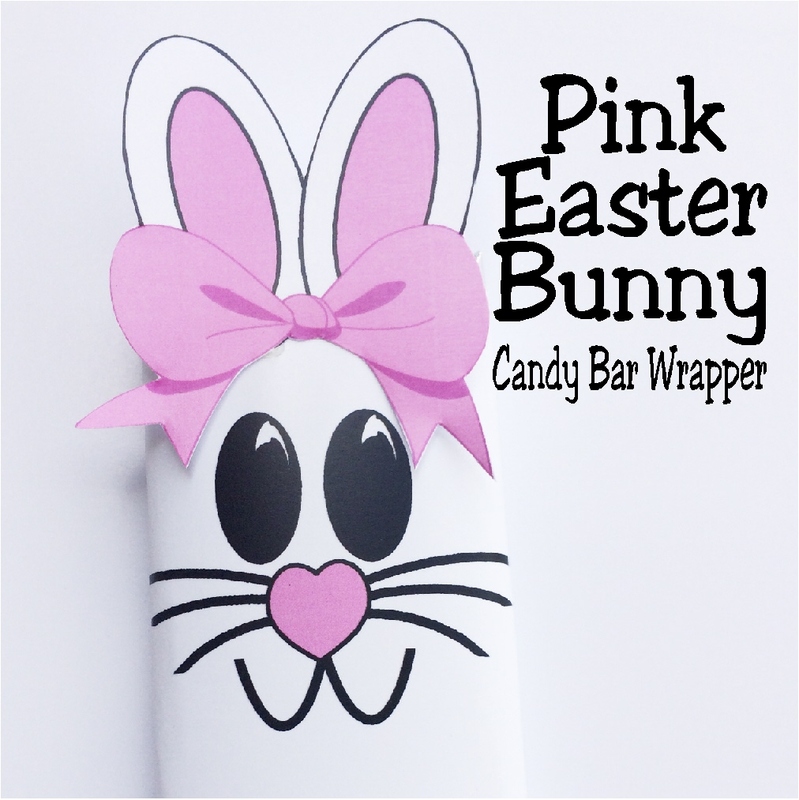 I'm sharing the pink Easter bunny with newsletter subscribers to my email list. Each month you'll get a new exclusive free party printable, as well as weekly updates to all the fun printables I share here on the blog. 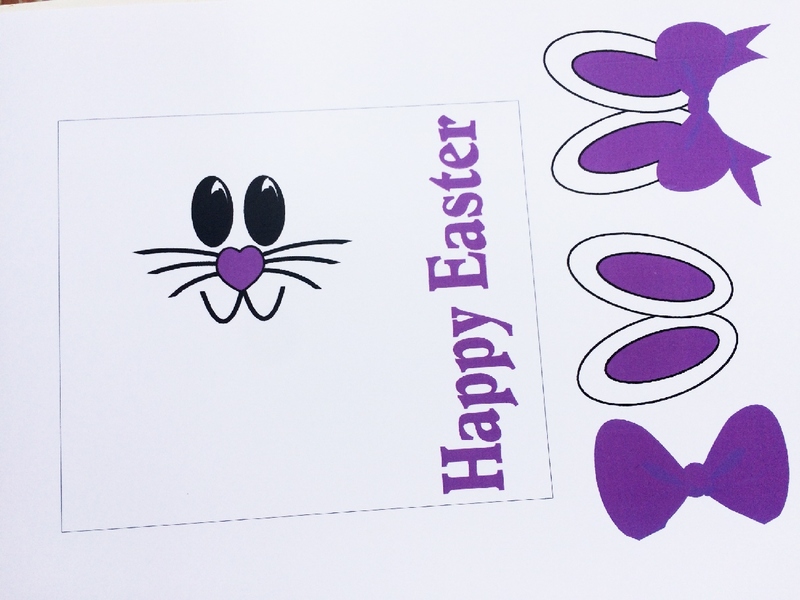 If you don't want to join our email list and want the pink bunny you can find it in our Party Printable shop. 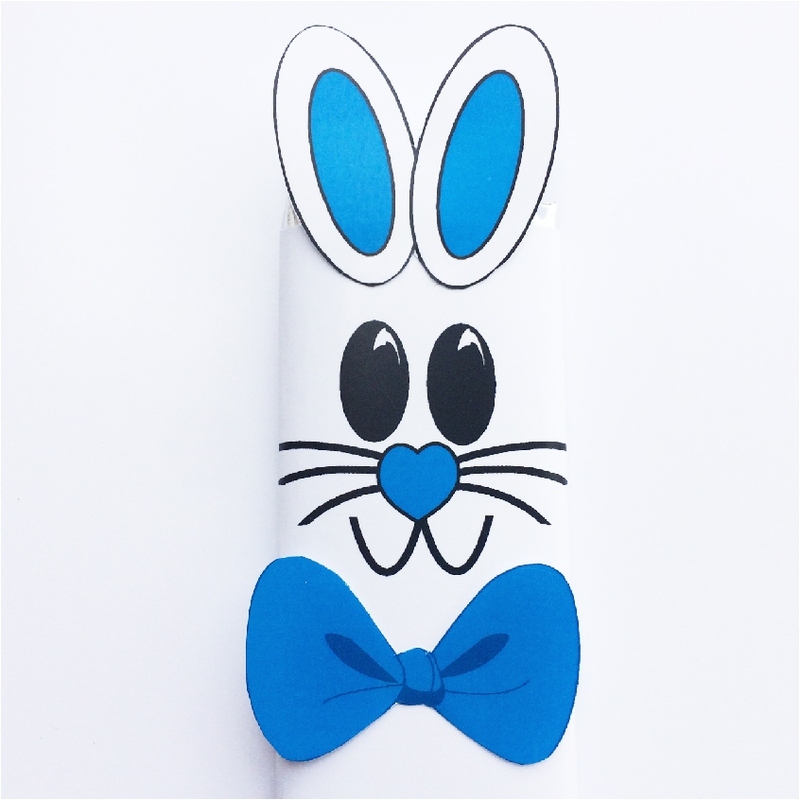 You will also find the Blue Easter bunny, the Green Easter bunny, the Purple Easter bunny, the Yellow Easter bunny, as well as a special sale on all 5 of the Easter bunny candy bar wrappers. Just click on the links to be taken to the store where you can purchase and download immediately. 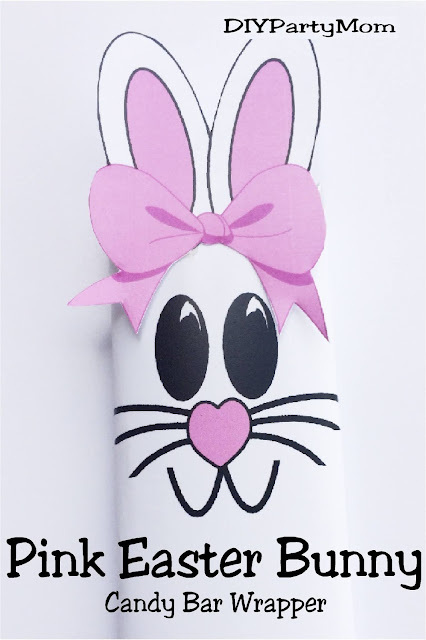 Or you can join the Email Newsletter list and get the pink bunny to give to Somebunny special on your Easter list today.